Tammis Keefe (American, 1913-1960) was an influential mid-century textile designer best known for her playful designs, often printed with humorous slogans. One dishtowel in the museum collection features fire engines and the words, “Something’s Burning!,” (1982-79-6) and another, owls and the words “whoooos for dinner” (1982-79-12). 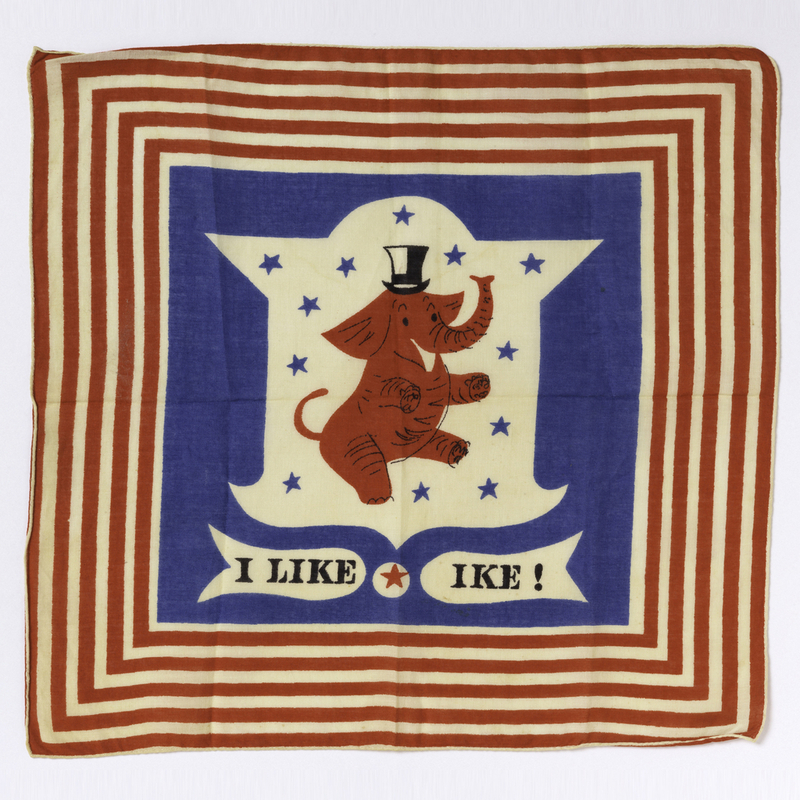 Keefe designed this handkerchief with the slogan “I like Ike!” for Dwight Eisenhower’s presidential campaign in 1952. Like printed T-shirts and bumper stickers used in political campaigns today, cheaply-printed handkerchiefs were important campaign tools in the early twentieth century. By 1952, when this example was made, the ‘golden age’ of handkerchiefs had waned and most people used paper tissues. This example might therefore have been intended to appeal to an older generation of voters.